At Bauer GMC, we can supply new motors for old systems as well as the best in brand-new modern hardware. We can also restore, refurbish and repair just about any piece of machinery. We thrive on custom engineered solutions for any application. This one was no exception! We have at our disposal a vast knowledge of motors and engineering which we can rely on to refurbish any production line and offer gear motor repair. With decades of experience, the right tools and a passion for engineering, we can make anything work. We got a chance to work on a truly classical CFG production model, one you’re not likely to see in the shop any time soon. It has seen 30 years of hard industrial work, and now it’s ready for 30 more thanks to the pros in our shop! This model is not in serial production anymore – production actually ended in the 90s. While these units are a little older, Bauer offers a unique service that will reproduce “one of” replacements for critical applications. In this way, you can keep your most dependable gear in action for your business. When it comes to gear motor repair, we know how to take the old model apart, clean it and restore it carefully. Bauer GMC’s technician and engineers have the established technical knowledge and tools to reengineer and refurbish any existing production line; we understand the value of dependable machinery. We can also provide new solutions, custom work and technical advice based on our well-established position in the industry. 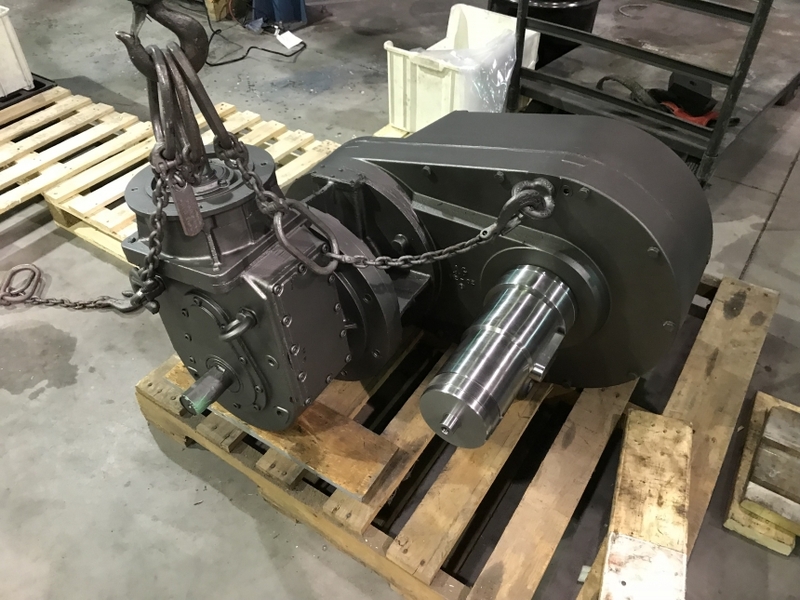 We can help you restore, repair or upgrade any motor that is central to your enterprise so that you see no down time or losses. Want to see more of our work? Have any questions about gear motor repairs, refurbishments or how we bring them back to life? Visit us today and speak with an expert!